In our modern cultures, death is hidden, both physically and emotionally. If we acknowledge death as a part of life, then we must confront our own mortality, and that is something few are willing and able to do. However, some professions come face to face with death every day. Whether it’s emergency responders, health care workers, or palliative care, death is an inescapable reality. 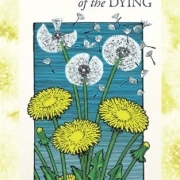 It’s from this experience that Top Five Regrets of the Dying: A Life Transformed by the Dearly Departing comes. Bronnie Ware worked as a palliative care giver in Australia, and she recorded the things that she learned from her patients to share with all of us, so that we can learn the lessons before the end of our lives. The general theme is not one of personal achievement but rather one of personal courage. The courage to be yourself, to accept happiness, and to stay connected with others. It turns out the things that we think are so important as we go through our daily lives aren’t so important in the end. There are two types of surrender: surrender accept and surrender defeat. When we speak of surrender, most people see the white flag, and they consider what it’s like to surrender in defeat. They think of what happened when the Confederates had to accept that the Union had won. However, this is not the most powerful and healthy kind of surrender; that’s surrender acceptance. To some degree, the difference is one of perspective – and timing. Surrender defeat often leaves no choices. Surrender accept is full of choices. It’s a conscious decision to not fight the situation around you and to accept whatever the world has to offer. Surrender acceptance is a courageous and difficult act. We let go of the illusion of our control and instead focus on how we can get the most out of life without fighting it. It’s a courageous act to accept our lack of control, because this puts us at higher perceived risk. However, what you get back by not expending energy in the vain attempt to control situations can be immensely liberating. You have so much more to offer when you’re not wasting energy on a pointless fight. It’s frightening to be yourself. What if people don’t like you? What if they reject or criticize you? If you’re projecting an image and someone doesn’t like it, you just change the image you’re projecting. No big deal. However, if it’s the real you, those rejections, corrections, and challenging conversations can be difficult and painful. It looks easy on the surface. You just project an image that others will like, and, if they do, you get to feel good that they like you. There’s a catch though. The catch is that they really don’t like you. They like the image you project. As a result, you don’t ever get to know if someone really likes you – you don’t get to have a real connection with another human being. And as a result, you may end up feeling disconnected and alone. Loneliness – being isolated and alone – is one of our deepest fears (see Loneliness). What would it be like to accept that some people do not like you and other people do? How would it feel for some people to reject you – but others embrace you with open arms? This is what those who contemplated their lives were looking for, that connection to other people that somehow validates they were real, important, and valuable. As humans, we’re machines for predicting the behaviors of others (see Mindreading and The Blank Slate). We know that other people generate predictions for our behaviors. They’ve got their own set of values and beliefs that drive how they think other people ought to behave. Our parents, our families, our colleagues, and our friends all have expectations of us. For the most part, our fear of being rejected causes us to try to live up to those expectations. We sometimes get so wrapped up in being the person that other people believe we should be that we sometimes forget to be ourselves. That’s the first regret. That we didn’t live a life true to ourselves – not to others’ expectations of us. Stepping out of their expectations takes courage. It takes willingness to be real and authentic. You can’t get that authenticity just through working a job. You must work at life to be authentic all (or most of) the time. No one is knocking hard work. Peak tells us that working purposefully towards a goal can make us the best of the best. Mindset teaches us that it’s not what we’re born with that matters. It’s what we’re willing to do to grow. It’s not that hard work is bad. However, in the end analysis, we too often get wrapped up in work and forget to have relationships. Sometimes it’s the certainty of the rewards. If we work, we’ll create something, and we’ll be praised or financially rewarded. Work is a convenient way to reminding ourselves of our value. One more project done. Another award to put on our resume. Work is often a place where folks can see tangible and nearly immediate rewards for their work. Sometimes it’s the messiness of relationships. In any relationship, there are times of conflict and turmoil, and no one ever prepared us for how to deal with such things. It’s hard when you love someone, and you don’t know how to help them, so you run away. It’s hard when you’re in a conflict, and you don’t see a way out of it, so you run away. Sometimes, it’s just life. We get so caught up in the treadmill of making enough money to live that we forget to have a life. We become obsessed with making money, so we can survive. Sometimes, that survival isn’t really at risk. We decide that we need the new car, and that takes money, and so does the new house or the private school for the kids or something else. When you add these things up, they start to take more and more financial resources, and eventually you must work hard just to pay for your things. The regret of hard work is less about accomplishing things and more about the addiction to work that keeps people from the hard work of relationships. If there’s one irrational fear that can stand in the shadows and condemn people, it’s the belief that their feelings aren’t “right,” acceptable, or justifiable. Somewhere in the deep recesses of our mind, feelings emerge, and we fear that they may not be the right feelings. We don’t know how they come to be or what to do if they’re not right. As a result, we often disconnect ourselves from others by ignoring or hiding our feelings. We don’t have to accept others’ ridicule of our feelings if we don’t share them – and if we don’t acknowledge them ourselves. The result is that we somehow end up as half a person. We end up denying part of our very existence – and for what? The reality is that all (that means every) feeling is acceptable. It’s the feeling that you have, and it comes from somewhere deep inside of you. Something about your experiences and your beliefs leads you to it, and it’s always acceptable. It’s important to note that not all behaviors – the responses to a feeling – are OK, but the feeling itself is. Said more concretely, it’s ok to feel angry but not to punch someone in the face. It’s difficult to speak to the fear in the corners of our mind and quiet it when we feel like we’re unlovable. Our feelings are taking control of us – and being irrational isn’t acceptable. Except that it is. Our feelings are designed to help us survive. In fact, they’re the basic wiring that helps us survive. To deny our feelings is to deny a part of ourselves. That is what far too many people regret having done. Too much denial of who we are and the validity of our feelings over the course of a life. We live in an age where it is easier to stay in touch with – and reconnect with – friends than ever before. We can keep connected via LinkedIn or Facebook. We virtually follow friends as they move, take new jobs, go on vacation, and so on. We have internet search tools and companies willing to help us find lost contacts. The tools that are at our disposal are like ones that couldn’t have been dreamt about a generation ago. Despite this, more and more people report having fewer close friends. (See Alone Together for more.) We’ve become more connected and disconnected all at the same time. Instead of staying in closer touch with those we care about, we tend to connect less. There is some good news, as reported in When: older people have fewer friends, but because they’re actively pruning relationships to only those that are emotionally meaningful. In other words, older people are starting to focus their energies on those who matter most. That may allow them to be happier. The final regret is the failure to find ways to bring more happiness into their lives. While happiness is an elusive prospect, as we’ve seen in Stumbling on Happiness, The Happiness Hypothesis, Hardwiring Happiness, Flourish, and The Hope Circuit (to name a few), it’s a good goal to seek more happiness in our lives. Sometimes our happiness is blocked by a hurt that we just can’t let go of. Maybe it’s a loss that we can’t get past. It might be a betrayal that cut too deeply. Sometimes we believe we don’t deserve happiness. Maybe we did something bad (guilt). Maybe we feel like we are bad (shame). Whatever the root cause, we feel like happiness isn’t something that we can or should aspire too. It’s too much to ask. Blocked happiness appeared too often in Bronnie Ware’s care of people. It occurs too often in life. Maybe if you read The Top Five Regrets of the Dying, you’ll be better able to live the life you’re given fully and completely. Maybe you’ll find your way to death without any regrets. There are sometimes in life when you just feel fried. You feel like there’s nothing more that you can do. You’ve given it all. This is the feeling of being burned out. 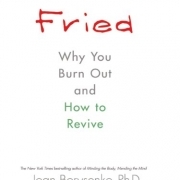 In Fried: Why You Burn Out and How to Revive, Joan Borysenko seeks to help us all prevent that feeling from becoming one of long-term burnout. As I’ve journeyed through this conversation around burnout, depression has been a constant shadow. 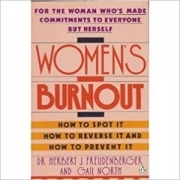 (Some of the related works I’ve reviewed are Burn-out: The High Cost of High Achievement, Burnout: The Cost of Caring, Acedia & Me, and Women’s Burnout.) Depression is a class of disorders that are officially recognized in the DSM-5. It is, however, deceptively broad. There are so many diagnostic options, and, unofficially, there seems to be many causes. The literature on burnout seems to indicate that there is a relationship – and that burnout predicts depression in some cases. This isn’t to say that burnout is always the cause of depression, but rather that it is sometimes the cause of depression. Burnout thrives on the energy of high achievers. It’s at home in an environment where it can consume drive and spit out the results. In this way, burnout is no different than yeast that converts sugar into alcohol or makes bread rise. Burnout uses the fuel for its own conversions. One of the aspects of high achievers that makes them so susceptible to burnout is their zest for accomplishments. Zest for accomplishments isn’t a bad thing. It drives us towards results. However, when we become too attached to outcomes, we forget what makes life worth living. We also miss the subtle cues that life gives us on how to be happy and go with the flow of life instead of against it. One of Borysenko’s comments is that some forms of therapy make life in hell a bit more palatable. In other words, they don’t change the fundamental conditions that lead to the bad situation. Certainly, the use of some antidepressants falls into this category. (See Warning: Psychiatry Can Be Hazardous to Your Mental Health for more on the use of antidepressants.) Though, many times, we can’t change our situation, and all we can do is to find a new – and better – way of dealing with it, there are times when the right answer is to change the circumstances. The problem is that it’s complicated to untangle a life that’s gotten wrapped around burnout or snagged by the way that we grew up. Just like a tangle of cords, sometimes the first step is to create a bit of slack, so you’ve got room to move. That could be in the form of self-awareness or awareness of the problem. It could come in a different – more balanced – perspective of where you are in a situation. It can sometimes be a change in the situation. There’s no one answer. Whatever strategy you choose to help get out of the pit of burnout, the key is to ensure that you don’t stay near where you started. Once you get out, it’s important to get away from what led you to problems in the first place. Sometimes, in conversations with addicts, they don’t see their drinking or drugs as the problem, it’s the solution. It’s the way that they can block out the painful feelings. They can use them to recapture a zest for life that they long to grasp, even for a few more moments. Addictions (including eating) are just maladaptive coping strategies. They’re coping strategies that may have initially been effective, but they progressively took more and more control from us. They became compulsive and more dangerous. Whenever assessing a situation, we need to consider whether what we view as the problem isn’t really a solution to some other problem. Sometimes the problem we see is perceived to be small in comparison with what the “problem” solves. It’s like a medication that has a long list of nasty side effects, sometimes people take it because it’s better than the alternative. In the end, what all of us want is the ability to become resilient. We’ve discovered that we can’t stop the waves of change and challenge. Instead, all we can do is change how we respond to them. Instead of experiencing profound stress and burnout, we learn to accept the waves and not become overwhelmed by them. Challenge – Is what you’re facing a real challenge or threat to survival, or simply something that must change to meet new circumstances? Commitment – The willingness to “show up” in all aspects of life. Whenever looking at research, it’s important to realize that there is some good even in the bad. The Cult of Personality Testing explains the issues with the Thematic Apperception Test (TAT) – and I agree with those assessments. However, McClelland saw three categories in it that allowed for a greater understanding of people and why they become burned out. Need for Achievement – Some individuals have a greater need for achievement. 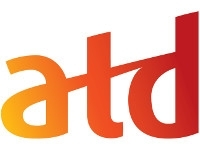 Need for Affiliation – Some people have a greater awareness of their need to be connected. Need for Power – Some people need more power over others, perhaps as a way of compensating for how unsafe they feel. One of the core things that causes burnout is the fact that the burned-out person tries to give themselves away. They give of themselves – too much – because they perceive that they have no value. They perceive that their needs aren’t as important as the needs of others. If you want to keep from becoming burned out, or Fried, you have to accept that you have value. Martin Seligman is the father of positive psychology. 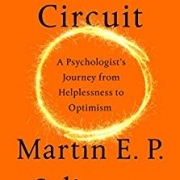 In The Hope Circuit: A Psychologist’s Journey from Helplessness to Optimism, he chronicles his life and the life of positive psychology. While I’m not generally prone to reading biographies or autobiographies, The Hope Circuit isn’t exactly that. Instead, it’s a view into the world that led to one of the most important course corrections in psychology. Academia, on the one hand, represents the potential for intensely mind-expanding experiences, where your life is altered in positive ways. On the other hand, academia can be a backbreaking slog through the submission of grant proposals and articles. Seligman describes his mind-expanding experiences with conversations that weren’t in a classroom but instead in the Wilson Lodge at Princeton. He explains that he has spent much of his career trying to replicate these conversations, since he believes that they’re the heart of what university is about. Universities can concentrate scholars who think and care deeply about topics. Bringing them together has the capacity to change their lives and the lives of everyone. After all, we owe a great deal to the Medici family in Venice for bringing together a diverse set of masters to ignite what we would call the Renaissance. (See The Medici Effect for more.) These experiences are inherently life-expanding and life-giving. Conversely, Seligman admits that his “batting average” with grants and articles getting published is around one in three. It’s quite easy to see how someone could – and would – become disenchanted when they realize that much of their best work would go undiscovered, unrecognized, and unfunded. Seligman even shares one of the loose ends from his professional career around our sexual development, which hasn’t ever been followed up on. Seligman is perhaps most well known for his work with Steve Maier and the discovery of learned helplessness. That is, animals will learn that they can’t control their circumstances and will just lie down and “take it” instead of trying to escape the pain. From the outside looking in, it should be obvious that the dogs could escape the pain. They simply jump over the barrier, and they’re safe. But it wasn’t obvious to the dogs. They had learned that nothing they did changed their circumstances, so they just accepted the shocks without any attempt to flee. Interestingly, Seligman distinguishes his life from the dogs that were in the experiment by saying that he never gave up, even when he got depressed. The newly-arrived assistant professor at the University of Pennsylvania, Jim Geer, walked into Seligman’s lab and said, “Those dogs are depressed.” Seligman then spent much of the next 10 years trying to understand to what depression is – and, more importantly for the rest of us, what psychological factors might make people more or less immune to depression. While far from having a single answer, Seligman’s path took a turn from helpless to optimistic, and he continued to look for factors. Optimism might hold the key to preventing depression from grabbing ahold of someone and bringing them down. The prevailing understanding of depressives is that they’re afflicted by an inaccurate perception of the world and their lack of control. However, research shows that depressives’ perceptions are more accurate when they have no control. They believe they have no control. It’s the optimists that are wrong in that they believe they have substantially more control when they have none – their average estimate was 35% control. Control – or perceived control – it seems was a component of depression. Seligman and Maier were wrong. Helplessness wasn’t learned. Belief of control was. The default operating mode of the brain is to assume that things outside of oneself aren’t controllable. It’s a part of our control network that manages the how we feel about our situation. The default mode when facing pain is the activation of dorsal raphe nucleus (DRN), which releases serotonin (5-HT), which causes a series of releases that produce passivity and panic. That happens whether an animal is trained with “learned helplessness” or not. However, Maier himself identified that the medial prefrontal cortex (MPFC) creates a set of new proteins that shuts down the DRN. So, while they were wrong about helplessness being learned, they had the fundamental actions right: the lack of control produced helplessness. It turns out that our perception of control is the hope we can do something about our struggles. In my opinion, hope is the most powerful force in the universe. It allows us to reach for the stars and dig into the depths. Hope is what powers us through difficult – seemingly impossible – situations. And hope is based on the idea that things can or will change. For most of us, the perception of the change agent in hope is ourselves. In those with learned helplessness, they’ve not learned the illusion of control. (See Compelled to Control for more on the illusion.) Those with learned helplessness believe that things will always remain the same, because they can’t see anything that will change their situation and have no belief that they can have any impact. C.R. Snyder in The Psychology of Hope broke hope into willpower (see Willpower) and “waypower.” Willpower is our belief that we can change things – and the courage to try. Waypower is our belief that we know how to change things – or the belief that it’s a solvable problem. Though much of psychology has been focused on the past (and the hurts you acquired there) and the present (how you feel), hope moves us in the direction of the future. It’s a worthy goal when you’re looking to find a way for people to live out happy lives. It turns out that the way you think about your setbacks and the perception you have of your future makes a great deal of difference. The way that we attribute our failures along three dimensions dramatically influences their impact on us – and our ability to remain hopeful. The second dimension is whether the situation is temporary or permanent. There is a big difference between “I failed to make the three-point shot” and “I always miss three-point shots.” This is an area where Carol Dweck’s work in Mindset can be helpful. The third, and final, dimension is whether the situation is specific or global. “I’m bad at geometric proofs” is different than “I’m bad at math.” The specific may be true but the global can almost never be true. Viewing things as external, permanent, and global is a recipe for depression. Optimists tend to see problems as internal, temporary, and specific – expecting to get better the next time. While no one is an optimist or a pessimist at everything, each of us tends towards one of these directions. Controlled experiments hold a great deal of allure. It’s like a mathematical proof showing what causes what. Done correctly, you can seemingly answer a question completely. The problem is that the question is often very tiny. If the question is too large, it’s too hard to hold all the control variables in check and keep the experiment under control. Controlled experiments that answer tiny questions can be replicated by others and thereby validated. That’s the internal validity – they prove that, in these circumstances, X causes Y. In other words, they’re replicable. That’s the intrinsic beauty of them. The problem with internal validity is that the real world isn’t neat, orderly, and controlled. Instead, the real world has complex problems and messy solutions. You can’t keep a fence around the real world to keep it out of your experiment. You can’t isolate all the variables with enough controls. However, what you can do is prove that something works in many (but not necessarily all) environments. You get the external validity that it works in the “real world” while accepting that the results aren’t as consistent or clear. Both are absolutely necessary. You need the seeds of an idea to be created before it can be planted in the fertile soil of the world. However, no seed that isn’t planted becomes the plant it’s destined to be. Seligman, over his life, did both kinds of research but admits that external validity holds more interest now than internal validity. Perhaps that’s why he speaks of the Values in Action work that Chris Peterson did with reverence. ViA allows you to focus on the values that are the most important to you and, in doing so, find ways to enjoy yourself and the life you’re creating with those around you in a more meaningful way. Everyone has seen reports with the Gross Domestic Product (GDP) on it, but the problem is that this measure doesn’t account for any of the things that make life worth living. It doesn’t account for friends and colleagues and relationships that enrich our lives. It values suffering, as those who are suffering consume products and services to alleviate their pain, while making no allowance for the loss of joy. Maybe we need a new measure with components that we don’t yet know how to measure. Maybe instead of measuring the GDP, we should be measuring the Gross Domestic Happiness (GDH)– maybe then we can find a way to see how the things we’re doing to ourselves and others are making the world a better or a worse place. Maybe if we were focused on GDH, we’d all be in search of our own happiness and read The Hope Circuit. Most folks don’t describe Christianity with the adjective “mere.” However, C.S. Lewis isn’t most folks – rather, he’s a common man with an uncommon view. 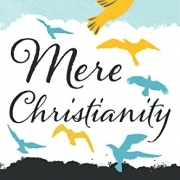 Mere Christianity is the written record of what started as a series of BBC broadcasts to help explain what Christians believed. He didn’t speak as an authoritative source who had dedicated his life to the scholarly study and application of ancient texts in Christianity. He came as a man who could see to the heart of Christianity and who could speak so eloquently that anyone could understand what he saw in it. Lewis quickly dispensed with the internal conflict that pits Christian against Christian and divides the one brotherhood into many different factions. He describes a great hall off of which each of the denominations has a room. He invites us to stand in the hall, accepting the rules of the house – the rules all Christians believe – but also to move into a room where we can be comfortable and fed. To Lewis, it seems, all of Christianity receives the benefits of the house, no matter which room you’re in. He has no quarrel with someone who believes in Christ but believes slightly differently about things that matter little. Finding our individual paths isn’t easy. There are times when we’ll end up off track. Lewis has a way of conveying the fundamental truths about finding your path that is both practical and direct. Whether it’s reminding us that going farther in the wrong direction doesn’t bring us closer to our goal or that progress isn’t just changing, it’s changing for the better, Lewis is gently reminding us that, in whatever journey we’re on, we must keep the end in mind. With understanding Christianity, our goal is to understand how to behave more like Christ would behave. Before this, however, we must think through how we have come to believe this goal. We must move through the theological and ideological challenges that have been laid at the feet of Christianity and be able to explain them to ourselves with reasonable satisfaction. It’s only then that we can start on the path forward to find where walking in Christ’s footsteps will lead us. It’s not like Christianity is the only game in town when it comes to religion. However, there are some distinct differences. Christianity is the only religion where your sins have already been paid for – you’ve been redeemed. Sometimes, however, other religions are more appealing. They provide the same comfort of believing in a benevolent power greater than yourselves with none of the guilt. Still, Lewis remains open to Christians to considering other religions and believing that they may have some hint of truth. After all, when you’re dealing with an omnipotent, omniscient, omnipresent being that created the universe, it’s possible that we may not be able to fully comprehend him. Injecting common sense into a difficult argument, Lewis points out that free will opens the door to evil in the world. However, at the same time, the only way to truly express love, goodness, or joy is to do it freely. Free will is an expensive tool that makes it possible to see into the hearts of men and illuminate meaning and intent in ways that perfunctory words could not. The Christian (and therefore Jewish and Muslim as well) God is said to be a jealous God. We’re to make no god before him. However, what does that mean? Certainly, the Bible is clear about making golden calves, but few people would do that today. It doesn’t need to be taken in the completely literal sense. Having a god before God can be anything that takes the place of importance. Some worship at the shrine of football. Others worship at the shopping mall. Others worship their beauty. The idols that we have today aren’t explicitly called out as other gods, yet we insist that they must come before everything else. If God is love, then a discussion of Christianity should include a conversation about love. Lewis makes the point that love is a relationship between two. If God is love, then who is he loving? The short answer is us. Lewis spends his time in Mere Christianity focused on those things that are important. It seems like if more people modeled God’s love with others, we wouldn’t just call it Mere Christianity. Leadership is a tricky word to define. 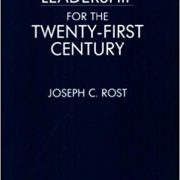 That’s why, in Leadership for the Twenty-First Century, Joseph Rost takes more than two-thirds of the book to try to define it – and probably still doesn’t get it quite right. You might expect that I wouldn’t be a fan of a book that spends so much time on something that most would agree should be relegated to a foreword or, at the very most, an introductory chapter. However, the story is more complicated than that. There’s a lot of wisdom in looking back and realizing how poorly we’ve defined the term and the issues that this has caused. Rost walks through decades of different perspectives on what leadership is and wades back in the waters of time to try to find the root of what leadership is. He believes that you can only work on improving something once you know what it is. As it comes to leadership, few people have stopped to ponder what it really is. Most have some vague sense that leadership is management. When you have managers enter a room for a leadership meeting, it’s just another day in the office, and, at the same time, it comingles the terms “management” and “leadership.” If your managers are the ones doing the leading, then how are the terms different? Unfortunately, when used in this way, they’re likely not different. Leadership loses its special meaning when it’s just a synonym of management. Management, too, loses its distinct meaning when anything considered leadership can be lumped in. It’s not that one is more necessary or better than the other – just that they’re different. Some would argue that leadership is successful management, but that lays down the gauntlet as to what successful management is. Considering that the same managers for Digital Equipment Corporation (DEC) and Lego were called successful during one period of the company and unsuccessful during the next using the same strategies, were they leading all along or not? The answer is perhaps that we’re looking at the wrong measures. Richard Hackman in Collaborative Intelligence suggests that you can’t look purely at output measures. You must consider how the team is working together to know whether they’re effective or not. Perhaps leadership has the same qualities, which transcend short-term output and lead to longer-term goals. At the same time, without clear criteria, leadership takes on mythical properties. Great leadership is the stuff of legends. People able to lead were like the knights of the round table, slaying dragons and saving the land. We lifted good leaders on pedestals and gave them massive salaries commensurate with the value we felt they could bring to organizations. This myth-making created CEOs whose income is orders of magnitude above those who worked below them. The problem is that no one wants to admit that the CEO isn’t a mythical leader who always wins the day. We live in a probabilistic world. (See The Halo Effect.) Because of that, we must realize that a CEO may – or may not – be able to lead an organization through the current times. Some CEOs will have a better probability of success, but there are no guarantees. Because there’s no way to know what the forces are and whether the CEO’s skills will be enough to overcome the barriers placed in their way – and there’s no way to know how luck is going to fall – we must take a risk and guess at success, and we don’t like to do that. It’s easier to believe in a myth than it is to accept the difficult reality that leadership – even good leadership – isn’t always successful. Rost’s essential point is that leadership isn’t and cannot be expressed in a single person. Rost’s point is that leadership is the name for the relationship between a leader and a follower. You can’t extract a leader and transplant them to someplace else and expect that they’ll immediately be followed. There are behaviors and things that can be done for a leader to encourage followers – but the followers still get to choose whether they want to or not. By refocusing the conversation about leadership to one of relationships, Rost avoids the trap of creating a mythical leader and simultaneously recognizes the criticality of relationships and persuasion. Leaders don’t preside over followers, they join in a relationship with them, where the followers are persuaded to participate for the betterment of their collective goal. Persuasion is getting someone to do something that you want – or that your group collectively wants – without the use of force or threat. If you must threaten someone, then it’s coercion. However, the challenge is that coercion is not in the explicit threat, but it is also in the implicit threat. While no one might say that you must do this, or you’ll be fired, the implication is all too often well understood. Effectively this describes the parties in the relationship, the structure, and the purpose. There are, however, some nuances. There’s no need for a person to always remain the leader and others always the followers. Co-led and self-organizing groups are OK. In Rost’s view, both the follower and the leader are active participants in the relationship. If someone isn’t active, they’re neither leader nor follower. The intent to create real change is difficult, because the scope and scale of the change is very different. Leaders and followers may seek to solve world hunger or merely satisfy their hunger for a while. They share purposes – view of the world in the future – rather than specific, tangible goals. They may not always agree on the exact path moving forward, but they agree on the destination they’re trying to reach. Being a leader means expending energy in the development and maintenance of the leadership relationship. That energy necessarily must come from somewhere else. That “somewhere” is often personal, direct productivity. A leader sacrifices their individual output in the service of the greater good of maintaining the relationships. Done correctly, the productivity of the followers drives the goals forward faster than would ever be possible by an individual contributor. A large or even moderate group of followers with a reasonable degree of alignment can be a powerful force. Still, a leader must be able to accept the fact that they feel like they’re personally getting fewer things done – in service of the greater good. If leadership is different than management, then what makes it different? One consideration is that it’s transformational. What is happening is more than the direct results that are being achieved. Instead, the people in the relationship – both the leader and the follower – grow and become more than they were. Not only does leadership transform the objective reality through results, but, more importantly for the long term, the people involved transform. In the context of Rost’s work – based from Burns work – is that the transformation moves the people to “higher levels of motivation and morality.” While this is interesting, I’m not sure that it quite captures transformational leadership. Motivation is a slippery topic, because it’s not single dimensional. It ebbs and flows, and it is very situationally-dependent. Whether we’re looking at our willpower to push through something (see Willpower) or hope that something will get better through our efforts (see The Psychology of Hope), motivation isn’t a fixed thing. Morality is its own sticky mess. The Righteous Mind places morality on six foundations that have differing ratios – but not real levels. Moral Disengagement wanders through the ways that we lose our moral bearings without indicating ways that we transform into more moral creatures. I tend to think of the transformation of leadership in terms of increasing our capacity. This carefully side-steps our direct results and acknowledges that someone who has been through transformational leadership has a greater ability to do things in the future. In the end, manager see what is and leaders see what can be. Managers see today and the current reality. Those in a leadership relationship see what can be. Perhaps seeing what can be is what Leadership for the Twenty-First Century should be. It’s sort of like sausage-making. You know what emotions are, but you’re not sure you want to know what goes in them. How Emotions Are Made: The Secret Life of the Brain takes you through the journey where emotions aren’t consistent across cultures – or even people. The journey, if you’re willing to believe it, flies in the face of the thoughts of dozens of researchers. I’m not convinced that Lisa Barrett has all the right answers with How Emotions Are Made – but at least there are some things to think about. I’ve been a fan of Paul Ekman’s work for some time. (See Emotional Awareness, Telling Lies, and Nonverbal Messages: Cracking the Code.) Even the Pixar movie Inside Out is a brilliant story around emotions and how our rational and emotional selves co-inhabit the same body. Fundamental to Ekman’s work is the belief that microexpressions reveal what someone is thinking very quickly and briefly. The premise of his work is that the microexpressions response is a recognizable pattern that happens before your conscious mind has the ability to stop it. From a neurological point of view, there are some reasons to support this thinking. There are separate sensory pathways that get differing levels of processing, some of which allow you to trigger fight or flight reactions very quickly. However, Barrett says that the research doesn’t support Ekman and his perspective that microexpressions are real and consistent. The problem is that I’ve looked at the research – including the research cited by Barrett – and though it identifies a set of problems with the theory, including the problem of emotions not being distinct, the research is far from saying that the entire model is bad. Even research that was unable to replicate the findings of microexpressions universally across the face indicates that there is something happening. Ekman himself says that you must exercise caution in that, even if you feel strongly that a microexpression indicates the presence of an emotion, you can’t determine why that emotion was triggered. There may be reasons why other experiments partially replicated the findings. It can be that microexpressions aren’t sufficiently distinct or that the experimental controls didn’t contain unexpected variables. There are training programs that have been created from Ekman’s work on microexpressions – including his Facial Action Coding System (FACS) and training programs created for the Department of Homeland Security (DHS). The criticisms Barrett levels seem squarely pointed at the lack of efficacy of the training program for DHS. Having created training programs for many years, I know that there is a winding road between the lab and the lieutenant. Who knows whether the concept is bad, or the training wasn’t effective? Daniel Kahneman’s work Thinking, Fast and Slow is a powerful explanation of how we think. He uses an idea of System 1 and System 2: System 1 takes the most common, everyday tasks and refers to the more calorically more expensive System 2 when it can’t handle the job. Once something is habitualized, it ends up in System 1. It’s automatic. System 2 is deep and rational thought. Kahneman is careful to say that he views these as mental models rather than specific indications of brain regions, but many have said that System 1 is the basal brain, including the amygdala, and System 2 is the prefrontal cortex. 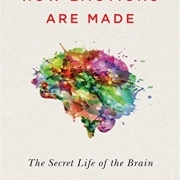 Barrett asserts that this localization isn’t true, that emotions are composed from all over the brain, and that the lack of an amygdala isn’t enough to suppress emotion. Here, there are many pieces. Kahneman’s work is based off earlier work of researchers who have moved on to a three-part model instead of a two-part model. My friend Paul Culmsee finds this distinction particularly interesting while I do not. For me it’s just a refinement of a model. What’s more interesting to me is the nuanced nature of our learning of the brain. Barrett speaks about how Broca’s area isn’t the only component of the brain necessary for speech. As luck would have it, I just recently finished The Tell-Tale Brain, which speaks extensively about how speech works from a neurological point of view. At one level, Barrett is correct that speech isn’t exclusively processed in Broca’s area. However, syntactic structure does appear to be centered in Broca’s area – and that is most commonly used in the creation of speech. Because there is still so much that we don’t know about the brain, I think it would be premature to indicate that there isn’t a space where emotions are rooted or triggered. Many neurons can create the same outcomes. It’s a process that builds redundancy into our brains. For instance, there may be multiple pathways today that can trigger the same fear response. It’s the principle of degeneracy – multiple paths leading to the same result. This concept seems to be inefficient; however, the inefficiency results in resiliency, something that evolution may have needed more. Donella Meadows cautions in Thinking in Systems about over-optimization and the lack of resiliency. Nassim Taleb is slightly more direct in his criticisms of over-optimizing the system in The Black Swan and Antifragile. The degeneracy and plasticity of our brains allow us to recover from seemingly unrecoverable brain damage. Neuroscience has found that brains will rewire themselves to support the needs of the individual, whether it’s the larger hippocampus for London cab drivers (who need more spatial memory), or it’s how the normal workload of a damaged portion of the brain is taken up by other parts of the brain. Barrett notes that one of the brain’s primary purposes – if not the primary purpose – is prediction. It makes models of the world around us and then uses those models to predict what will happen next. In the book Incognito, it is made clear that we’re not perceiving reality. We’re perceiving some made-up idea that our brains have concocted. We use these concoctions as models and run simulations – what Barrett calls predictions. Gary Klein was clear in his belief that we develop these models unconsciously, and we use them to provide predictions. (See Sources of Power for more.) Ultimately, we adjust our predictions when we perceive that our predictions are incorrect. Most people can describe bodily sensations which match their moods. Before taking a test or performing on stage someone might discover they have “butterflies in their stomach.” This is perceived as an indicator of anxiety. If you ask someone how they felt the first time they were kissed or when preparing for a special date, they may report the same feelings. In fact, you’ll infer the emotion that I’m trying to convey with “butterflies in my stomach” based on the context. You’ll assume I’m excited or anxious depending upon the context. We have learned to listen to our bodies and evaluate how we feel about something based on the way that our bodies are reacting. Our heart rate quickening may be a result of a spark of fear. The problem that Barrett raises is that we can – and do – interpret our bodies signals incorrectly. We believe that we’re becoming attracted to someone – when we really have the flu. (Her example from the book.) Sometimes the things that we interpret as coming from our mental state are just side effects of our body doing its normal processing. Our brain can and does make wild predictions about what is happening to our bodies on very little evidence. Affect, as described by Barrett, is a general sense of feeling – not an emotion, but simply a feeling. Other definitions say that affect is the expression of emotion. Affect is described as having two dimensions – arousal and valence. Arousal is how alert or relaxed you are – effectively, the relative state of the competing sympathetic (aroused) and parasympathetic (non-aroused) systems. Valence is how pleasant or unpleasant you feel. I can say that I use an exercise in my information architecture workshops where I hand folks emotion words and ask them to categorize them. The intent is to indicate the degree of difficulty that sometimes occurs with content that you’re unfamiliar with. One of the most common dimensions that students attempt to categorize emotions into are positive and negative. Interestingly, Buddhists believe that emotions are afflictive or non-afflictive rather than positive or negative. (See Emotional Awareness.) Their point is that anger, for instance, can be non-afflictive if it motivates you to address the disappointment (anger is disappointment directed) and afflictive if it paralyzes you or causes you to ruminate. Barrett points out that, when we create categories, we’re not discovering similarities in the world, but rather we’re creating them. When my students are categorizing, they’re creating mental structures that allow them to simplify objects into categories that they can work with. These categories don’t objectively exist in the world, but they exist inside the heads of my students. For each category, there’s a representative prototype. That is, for “furniture,” you’ll see a specific object. For most folks, it’s a chair, a couch, or a table. (I’ve done this exercise a few times.) If you put rugs into the furniture category, it will be difficult for other folks to find it there because the specific item looks and “feels” nothing like the prototype. Therefore, developing information architecture is difficult. You must recognize that not everyone sees things the same way, and there will be some items that don’t fit the prototype. Once you’ve created a category, you’ll fall into the trap of the curse of knowledge (see The Art of Explanation) and be unable to think that others don’t know about the category. It’s a simpler model to think about information being processed linearly, from individual sensations up through concepts and into our perception. However, the reality is that the process isn’t linear. Things don’t flow only in one direction, from the many sensory neurons to the neuron clusters making up concepts. Instead, as we learned in The Tell-Tale Brain, the path is bidirectional. The information is fed upward, and as concepts are formed and predictions are made, that information is fed back into the neurons that are working on less-processed data. We push data back from our concept into what we see, in some sense distorting it by amplifying the attributes that match our expectations. This isn’t a desirable situation but rather an adaptation. It is how evolution allowed us to be successful with so little processing power. 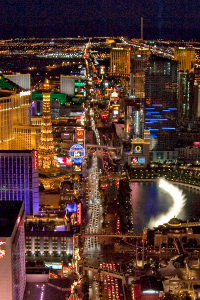 We swing the spotlight of attention to the areas that are the most interesting. We identify ways of recognizing things that don’t require further processing and ways of identifying those that do. I often think of Jonathan Haidt’s Elephant-Rider-Path model. (See The Happiness Hypothesis and Switch.) The rider can’t control the elephant when the elephant really wants something. However, I think of the rider-elephant relationship, and how your emotions can be calmed when the elephant (emotion) trusts that the rider (rational reason) will respect it and keep both the rider and the elephant safe. Building that metaphoric trust is the way that I believe we get better at managing our emotions. I still don’t believe that I’ve figured out How Emotions are Made – and though I’ve got dozens of issues with Barrett’s sometimes skewed data and logic, the challenge of our assumptions about how emotions work makes it worth the time. Who knows, maybe you’ll figure out How Emotions Are Made. Depression is a deeply personal thing. Each person confronts the demon differently. Acedia & Me: A Marriage, Monks, and a Writer’s Life is the story of one woman’s journey through suicide, depression, and, particularly, acedia. I got drawn into the story by the distinction between acedia and depression. I wanted to understand if what we were seeing in our world today was not depression but was instead something called “acedia.” Along the twisting road that Acedia & Me follows, I had to solidify my understanding of depression. Depressive disorders get their own section inside of the DSM-5. The DSM-5 is the Diagnostic and Statistical Manual of Mental Disorders, which is published by the American Psychiatric Association. In the previous edition, depressive disorders were lumped in with bipolar disorders; but the prevalence and importance warranted additional space, attention, and focus. DSM-5 considers depression a cluster of disorders but says, “The common feature of all of these disorders is the presence of sad, empty, or irritable mood, accompanied by somatic and cognitive changes that significantly affect the individual’s capacity to function” (p. 155). A key distinguishing factor for depression isn’t found in the mainline text but is instead buried in a footnote on page 161 – “In distinguishing grief from a major depressive episode (MDE), it is useful to consider that in grief the predominant affect is feelings of emptiness and loss, while in an MDE it is a persistent depressed mood and the inability to anticipate happiness or pleasure.” Depression is the presence of a depressed mood, but, more critically, it’s an inability to feel pleasure. Here though we see the problem with the diagnosis of depression and the associated definitions. It’s too broad. It includes too much. Someone who feels the need to get out and contribute to the world but simultaneously feels like the weight of doing so is too heavy fits the criteria. So, too, does someone who is sad. The guidelines in DSM-5 calls the duration of the mood two weeks or longer to qualify as depression – with a few exceptions – so there is established a time component to distinguish it from grief, but the qualifications are still needed to be clear. Why Zebras Don’t Get Ulcers has something important to say about the relation of depression to suicide: “The psychomotor retardation accounts for one of the important clinical features of depressions, which is that severely, profoundly depressed people rarely attempt suicide.” Despite this direct inverse correlation, depression is often associated with suicide. That isn’t to say that there isn’t an incidence of suicide and depression together – it happens, Acedia & Me explains, as Kathleen Norris discusses her husband’s struggles with a suicide attempt. It’s to say that though depression and suicidal ideation are often assessed together – and indeed DSM-5 calls out suicidal ideation as one of several diagnostic criteria for depression – there seems to be pointers that make depression and suicidal thoughts different. Making things even more complicated is that Why Zebras Don’t Get Ulcers predicts depression will be the largest medical reason for disability by the year 2020. William Glassier directly warns against the ills of believing in the change of brain chemistry, including the use of selective serotonin reuptake inhibitors (SSRIs) in Warning: Psychiatry May Be Hazardous to Your Health. With SSRI effectiveness in the range of 50-60% and placebo effects in the 47-50% range, it’s easy to see why there may not be much effect. This is a part of broader thoughts that some folks need to realize that they can choose something other than their depression as expressed in Choice Theory. This aligns well with Carol Dweck’s work in Mindset, where she explains that a growth (or malleable) mindset is more valuable than a fixed one. For my own perspective, I accept that there are some people with neurochemical deficiencies in the brain that impact their ability to avoid depression. In those cases, drugs like SSRIs can be helpful. However, the research seems to say that cognitive behavior therapy (CBT) should be used. Only if that’s ineffective should SSRIs be added – and only for as long as necessary to allow the CBT to be effective. (See Redirect for more about CBT.) The long-term consequences of SSRIs (and other psychotropic drugs) are still being discovered. Recently a friend was published with a link between dementia and SSRI use. Whatever you or I might believe about depression, acedia is something different. It’s something that gets swooped up into the broad definition of depression, yet it has a different mark on the person who is afflicted. How is Acedia Different from Depression? The definitions for acedia vary but often contain the words “apathy,” “boredom,” and “torpor.” At its Greek root, it means “absence of care.” Acedia & Me spends much of the book trying to precisely define what it is. The problem with the definition is that much of what acedia is has been swallowed up into the idea of depression. Depression has picked up more than sadness or lack of joy but also is diagnosed with “fatigue or loss of energy nearly every day.” The criteria for depression may inadvertently be picking up folks afflicted by something different – acedia. Acedia misses the other symptoms of depression, unless you take a path through burnout. In the review of Burnout: The Cost of Caring, I discussed how the classic definitions of burnout include being overwhelmed, cynical, or having a reduced personal efficacy. The outcomes of burnout are quite often depression. A cynical attitude sounds depressing to me. The road to depression from acedia may only have one stop – and that stop is burnout. 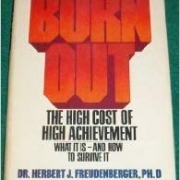 However, when defined in the context of a perceived lack of personal efficacy and therefore a lack of ability to control outcomes, we may find that acedia is caused by burnout. After all, if you’re feeling like there’s nothing you can do to control your life or your outcomes, what’s the point in caring about them? The causality of the arrow isn’t clear. Does burnout cause acedia, or does acedia cause burnout – or neither? What is clear is that there is a relationship between burnout, acedia, and depression. So, while acedia may be something separate, because it is so often followed closely by depression, it makes sense that it might get misdiagnosed that way. Misdiagnosis aside, how do you avoid the trio of conditions: burnout, acedia, and depression? How do you hold onto that idea that you are effective at moving towards your goals – particularly when you don’t know what your goals are? 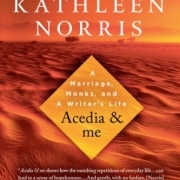 In reading Acedia & Me, I was struck by the twists and turns that Norris’ life followed and the quest to find what mattered most to her. Writing was a part of who she was and what she wanted to do, but the stories conveyed that this was just one part of her world, that there remained an inner turmoil which couldn’t quite be tamed. In explaining her fears of having children and her time running the family farm, she exposed the lack of articulated goals. It wasn’t that she wouldn’t have a great impact on the world – she has. It wasn’t that she wasn’t learning deeply her faith, something that so few people even try. Instead, there was this yearning for something that was missing or wasn’t quite set right. Most people wander through life never really pondering the mark they want to make. For some, there are unconscious answers, like having kids and raising them to be “fine upstanding citizens.” They want to teach children to help them be better prepared to contribute to the world. For others, their careers are important. The scientists want to make the next big discovery that will change the course of humankind – even if only slightly. Few have had the patience and persistence to really understand what they want to leave the world with. Simon Sinek suggests that we Start with Why as we seek to motivate others – and that’s good advice we should accept for ourselves. However, it was the earliest monks who first described acedia. Didn’t they have their big why – to devote their lives to God? In a sense, yes. They knew whom they were serving, but I suspect they may have had trouble articulating how they were going to make their unique contribution. What good can an individual monk in a monastery make? It turns out quite a lot, if you read the writings of some of the more famous monks. However, it’s hard to articulate a specific goal. It’s easier to answer with the platitude to know more about God or to be more Christ-like. Perhaps they had their “why”, but they didn’t have Clayton Christensen’s insight to ask, “How Will You Measure Your Life?” The question is subtly different, but that subtlety matters. If you ask how you’ll measure your life, you’re asking a question that helps you know if you’re making progress. The monotony of the life of a monk is legendary. If you have nothing to measure your progress with, how will you keep from not caring and simply going through the motions – or not even doing that? In the end, Acedia & Me seems to draw no firm conclusions. There’s no redemptive end to acedia for Norris (that she shares in the book, at least). There is, however, a chronicle of how she experienced it, lived through it, and learned to persevere. Perhaps that’s all we can ask for. I’d prefer to think that there’s a resilience from burnout and acedia in shaping our perceptions about what we want to do in the world – and how we think we’re doing. (See Hardwiring Happiness for changing our perspective.) Generation X – of which I am a member – was supposed to have lost their faith (see America’s Generations). I, however, continue to hold on to the belief that the world is getting better, and I’m doing my part to change it for the better. I hope to say that I never have to walk such that I feel it’s just Acedia & Me. There have been references spread out through many of the books that I’ve read to Richard Florida and his estimates of the number of “creatives,” people who work creatively every day. These references come back to the original version of The Rise of the Creative Class: Revisited. The original version of the book was published in 2002, and the revision came 10 years later. It’s a classic book in more than just the sense that it’s old. 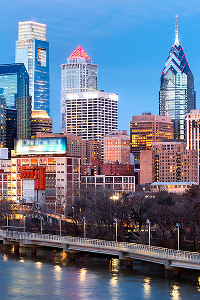 It’s classic in that it transformed the way that business leaders and civic planners thought about industries and economies. Being creative is important, because the way that you motivate creative people is different (see Drive for more). Creatives impact the economy differently. They’re simply different than the kinds of people that our ancestors were and how they worked, and these differences matter. Before we get too far, it’s important to note that we’re all creative. It’s not like some of us have a creative gene and some do not. Creative Confidence argues that, at some level, we’ve pushed this creativity from ourselves by increasing fear and reducing safety. However, whether driven away or not, it remains as a core part of our being. The Rise of the Creative Class is neither an anthem about how creative people should rise up and take over the country, nor is it an attempt to define a privileged few who should be given more opportunities, more latitude, or more of anything. Instead, it’s an attempt to understand the social dynamics that come into play in economies. Florida is a student and scholar of economics and sociology. The Rise of the Creative Class is an expression of understanding about how we’re changing as a society and how that impacts economies. Fundamental to Florida’s view is that innovation is necessary for today’s economic world. Simply doing the same things that we’ve always done won’t cut it any longer. Innovation allows us to radically change the way that we’re doing things – hopefully for the better. This innovation requires diversity. Here, Florida means more than just diversity in the sense we think of it today. It’s more than just including women or other races. By diversity, he means also inclusiveness and tolerance. That means for those who don’t look like we do, who don’t believe like we do, and who don’t think like we do. The Difference points out that this leads to a greater diversity of thought – and, ultimately, more productive teams. At least, if they can get past the storming phase of team development. Innovation is the result of the right conditions. Conditions of psychological safety and diversity of thought that allows multiple different perspectives and ideas to combine in new and interesting ways. Innovation isn’t created by diversity, and more than bread is created by flour, eggs, yeast, and sugar. However, unlike bread-making, putting the right ingredients in the right place allows for the emergence of something new. Life was harsh. While today, we speak of corporate jungles, rat races, and constant pressure, our ancestors had the real struggles. Death was a constant and unwanted companion. Disease lead to death. Accidents lead to death. Starvation was a very real concern for many people. Today, as I write this, I’m on an unstructured vacation in Maine. We don’t know where we’re eating or staying, but thus far it has just worked out OK. We have no real concerns about going hungry. We didn’t pack provisions to ensure that we’d have something to eat. Nor did we worry about packing a tent in case there were no hotel rooms available. Our GPS guides us to our next destination. (We’re up looking at lighthouses.) Our car goes until we refill the tank with gas. Our cell phones are ever-present tools for looking at maps, looking up resources, and connecting with friends. What has replaced the material struggle has been a psychological struggle. Instead of addressing the lowest levels of needs, we’ve stepped back into the ideals that the founding fathers of America expressed in the declaration of independence – life, liberty, and the pursuit of happiness. Though radical for 1776, these are ideas that we accept as basic human rights today. Gradually, we’ve moved from a life filled with toil to survive to a life that is expected to provide us happiness. We’re moving from a materialistic society, where the material goods are scarce and prized, to one where belonging, self-actualization, and quality are the goal. We’re already seeing how people are seeking experiences over things. Millennials are choosing to delay the status symbols of stability and success such as home ownership and marriage to afford (or finance) experiences. Large organizations are beginning to realize the need to embrace the changing perspectives of workers. Instead of chasing the latest tax incentive or highway interchange, they’re chasing the people, and the people are chasing experiences that pull them towards natural resources and beauty. Finding talented workers has become the big challenge in organizations today. People drive organizations, and we realize that having the best people – whatever that means – is essential. Without dipping our toes into leadership too far, “the right people” means people who can work together to drive the business forward – whether at the direction of a leader or not. In the past, finding work was difficult and essential. Unemployment rates hover below 5% – and have for a long period of time. One must wonder how low this rate can get and how long it can stay there. Certainly, there are many components to unemployment and many people who are still looking for meaningful work; however, unemployment rates are changing the way that organizations are hiring. 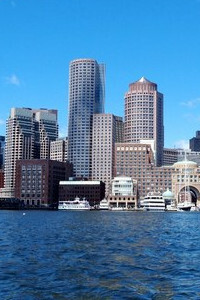 They know that they must attract employees as much as employees must attract employers. That’s a relatively new phenomenon. Employees used to value security. Working for a large organization used to be a golden ticket. You would work for the company, and the company would take care of you. However, the contract changed. (See America’s Generations.) Organizations couldn’t bear the load of all the people on their payrolls and purged. Children growing up during this time became disenfranchised with large organizations and the illusion of safety. Instead, they decided to rely upon themselves – and a greatly improved market in which they could market themselves. Suddenly, security was in what they could do. The result is what has sometimes been called the “gig economy.” Earning is spread out and diffuse between different employer/customers. The kinds of projects that people do are sometimes diverse as well. Someone might do baby-sitting or house-sitting and drive for Uber or Lyft when things are slow or when they have a few minutes. Somehow, they piece enough money together to make it all work, even if it’s unclear – even to them – how that might happen. People don’t unite in their home offices – they’re separated by them. We’ve taken away personal contact on multiple levels. (See Alone Together for more about how we’re using technology as a proxy for real connections.) It takes more than just a home office and a temporary badge to make the “gig” living work – but many are doing just that. Sadly, few are connecting with others even in their own industry. As a result, it’s unlikely that creatives will find their way into a union or a cooperative. Instead, they’re likely to operate independently in the shared space of the economy. It’s more like an antique shop that has many different vendors who share the burden of the infrastructure but set their own pricing and rules. Florida says that tolerance of other people and their diverse ideas, backgrounds, and perspectives is critical to economic growth. Ironically, accepting people who believe in living up life may be key to economic growth. Various indicators, including those that account for the number of creatives and the number of gays, predict economic growth. It seems that tolerance of others creates the opportunities for creativity and innovation, and, as a result, economies grow. I’m not an economist. I don’t work for the government trying to plan how to grow the economy. So, for me, the rigor of statistical analysis is lost. Whether it’s Florida’s Bohemian-Gay index or a Global Creativity Index or something else entirely isn’t really that important to me. What’s important is that we’re changing as a society. We’re moving from one corporate job to a creative economy driven by gigs that may not last that long. It’s a view that allows us to become more fully ourselves and to accept greater levels of risk. 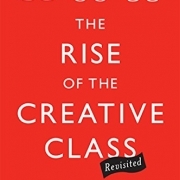 I don’t believe that we’ll ever see a movement in the creative class – however, I do believe that, if you’re someone who does anything creative, you might want to read The Rise of the Creative Class to understand what’s happening in society and, perhaps more importantly, what’s happening inside your own head.